There are millions of websites on the internet and people around the world visit them for different purposes. Have you ever wondered which sites get the most visitors? 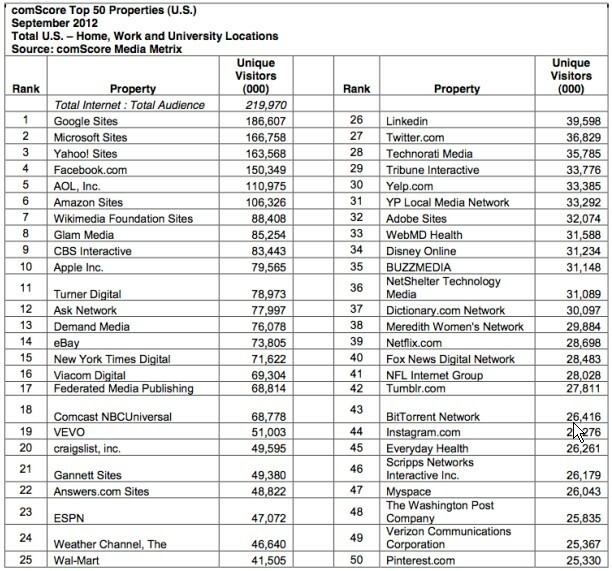 ComScore, a reputed research firm, recently published the top 50 most visited websites list (USA September) and almost all the major social networking sites ranked among the top 50. Google, Microsoft and Yahoo earned top 3 spots and Facebook ranked at number 4. However, the biggest gainer and newest member in the chart is Pinterest. This photo sharing social media site has gained huge popularity over the past few months which can be seen reflected in the “most visited sites” chart. 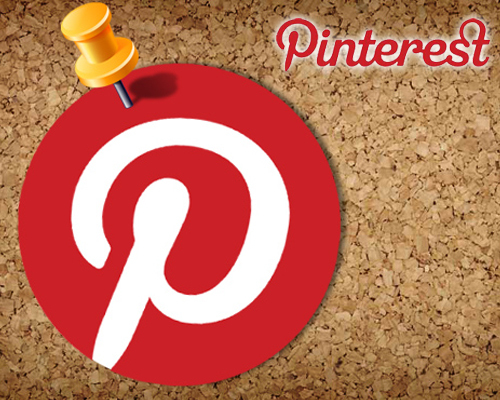 In September, Pinterest surpassed 25 million visitors which helped it gain the 50th spot on the list. Other social media websites such as Facebook (4th), LinkedIn (26th), Twitter (27th) and Myspace (47th) are ranked higher than Pinterest, but if you consider its age, then even the 50th spot is quite impressive.